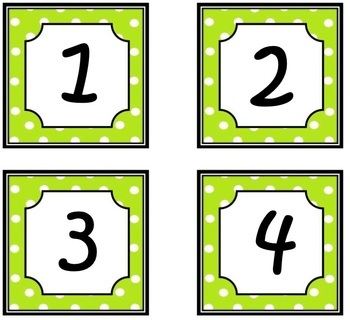 Green Polka dots Calendar numbers! Super cute numbers for your calendar! You can also find the months of the year in my store! :) more colors coming soon!